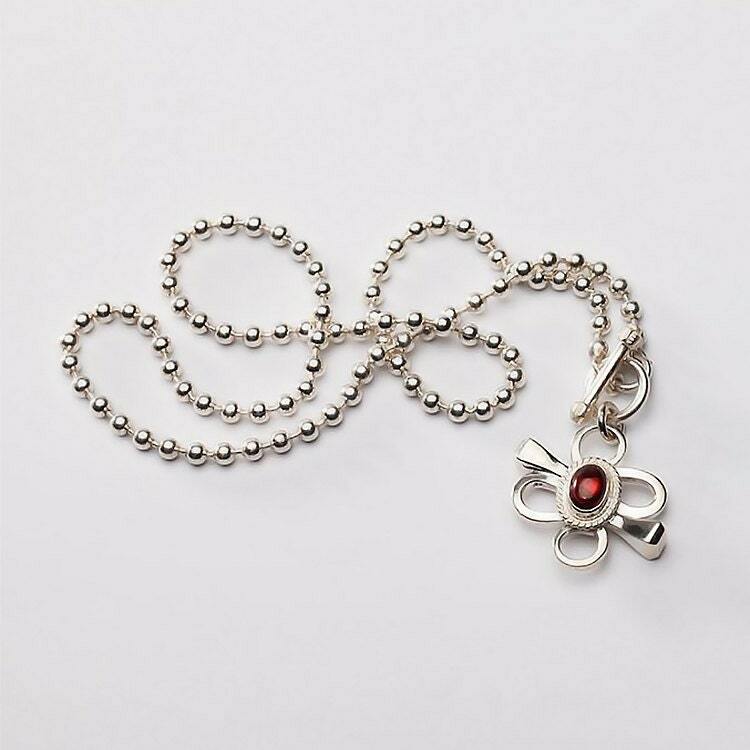 The flora pendant is a 4-leaf clover charm - crafted from a sterling silver horseshoe nail. 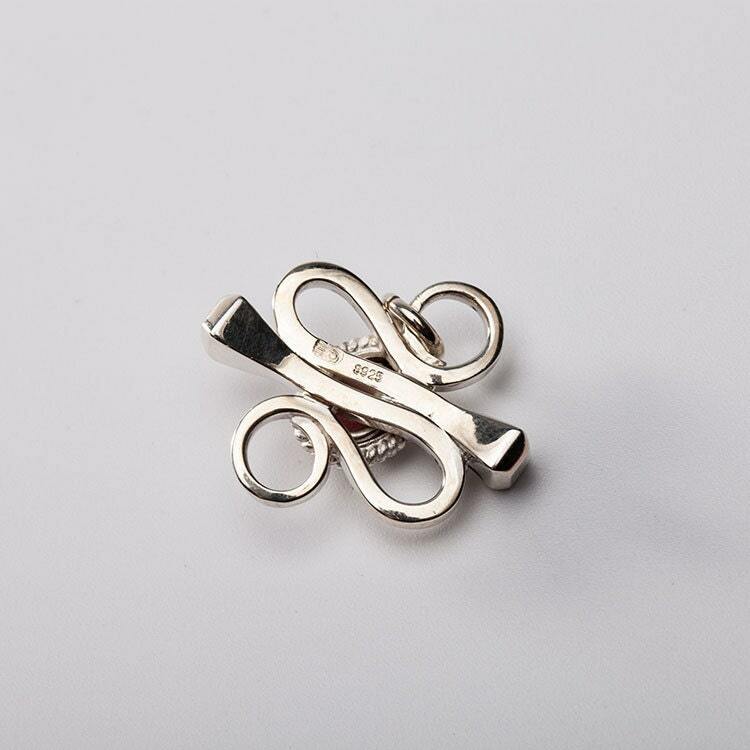 In common traditional lore, the horseshoe nail is a symbol of good luck. The four leaf clover is also a symbol of good fortune - each clover stands for a positive feeling. So, the first clover is for faith, second is for hope, third is for love, and the fourth is for good luck. Look closely, and you will find that the flower is made from two silver horseshoe nails - twisted into the shape of clovers. 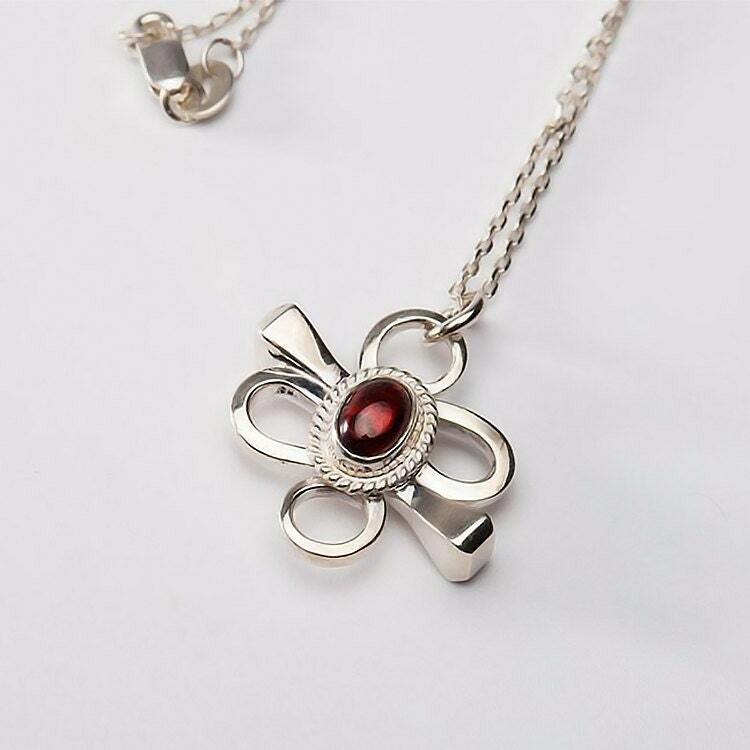 A single oval Mozambique garnet gemstone is set on the top of the flower - on a base of twisted silver wire. 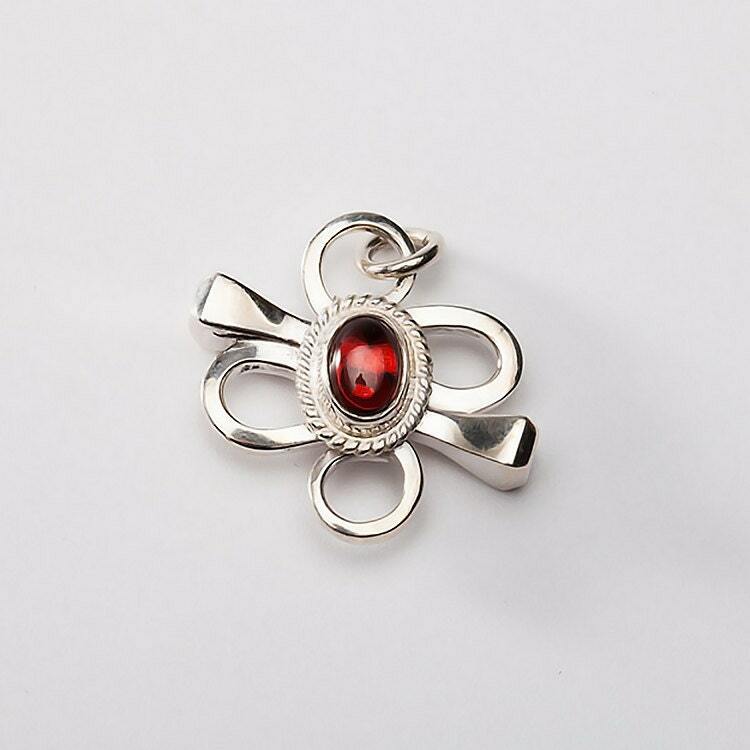 The fiery red color of the garnet adds a nice contrast to the shine of sterling silver. Since garnet is the birthstone for January, you can use the pendant as a birthstone pendant, or simply as a good luck charm! Note: The silver chain that the model is wearing is NOT a part of the purchase - but is available separately for purchase.